Street Fighter Alpha 2 was developed and published by Capcom in 1996. The game is a bit weird in that’s it’s both a remake of and sequel to Street Fighter Alpha: Warriors’ Dreams. 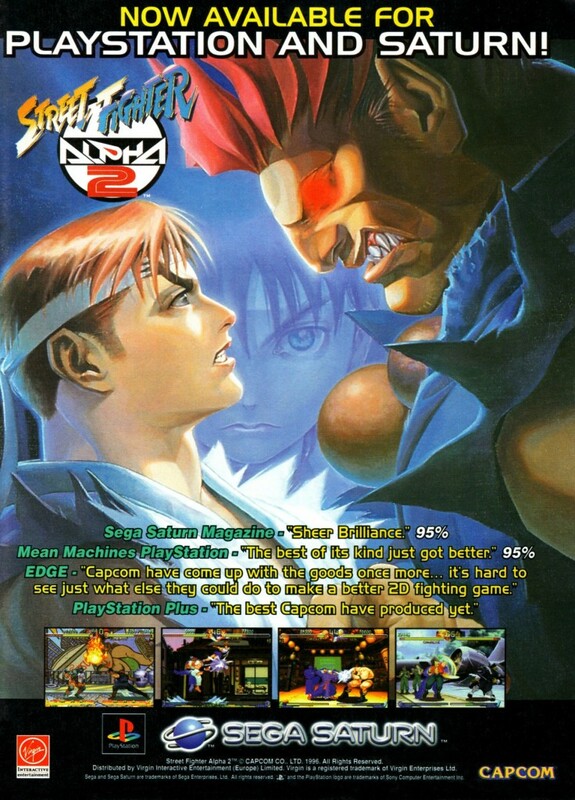 The most recent port of the game was in the Street Fighter Alpha Anthology for the PlayStation 2. This advertisement originates from the UK.